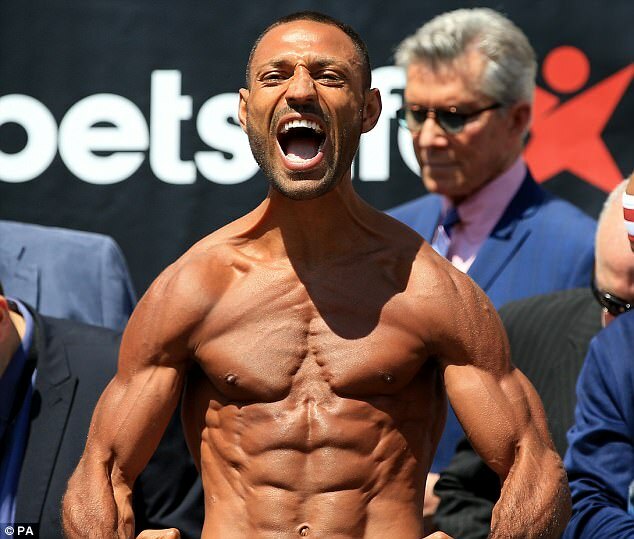 Kell Brook has made the weight for Saturday’s IBF world welterweight title defence against Errol Spence Jnr in Sheffield. 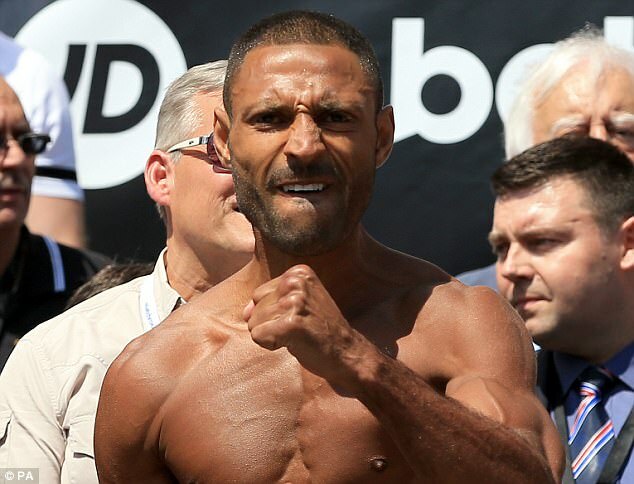 Brook, who has openly admitted he often struggles to make the weight ahead of fights, tipped the scales at 10st 6lb 7oz in front of Sheffield City Hall, with his American opponent weighing in at 10st 6lb 5oz. 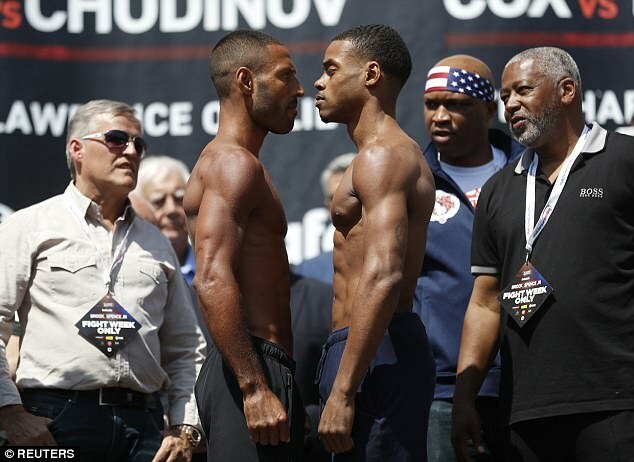 But Brook’s weight concerns are not over, as he now has to work to avoid putting on more than the permitted 10lb prior to the fight, with the IBF due to hold a check-weigh on Saturday morning. 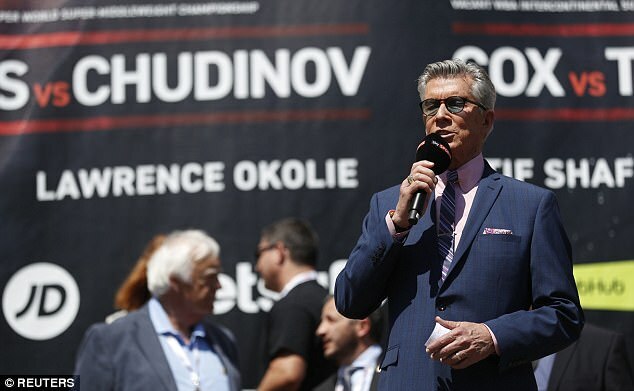 The ripped champion looked visibly different than his last in-ring appearance, where he went up two divisions to fight Gennady Golovkin at middleweight, as he let out a roar to the gathered crowd in his home city. 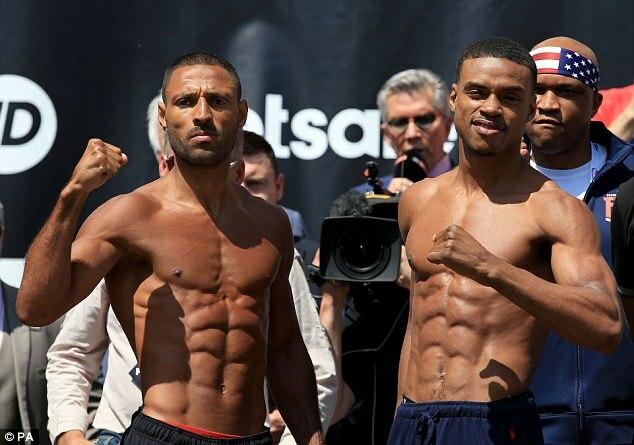 The two boxers then went nose-to-nose ahead of the Bramall Lane bout, with Brook happy with his condition. 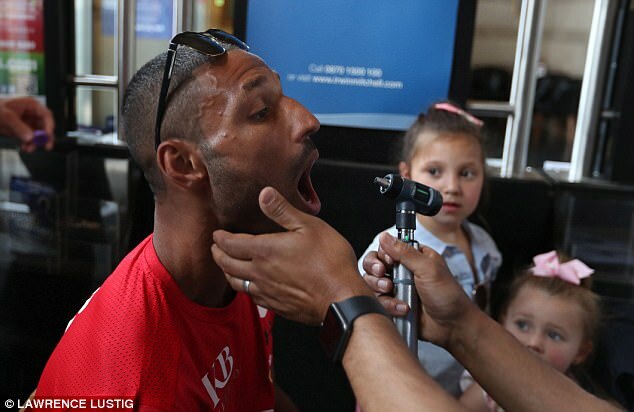 ‘I’m refuelling up, putting the fluids back in, rehydrating, putting the carbs back in,’ Brook told Sky Sports. 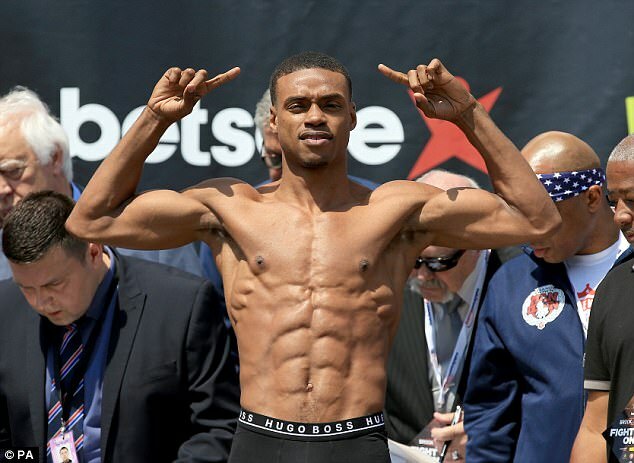 Explaining his battles with weight, Brook said: ‘Getting back down to the weight is always tough for me but has not been as terrible as usual this time because I’ve done it right. Despite his battle to make the weight, there are no concerns in the Brook camp that his power will be diminished. Nutritionist Greg Marriott explains: ‘We couldn’t have got to this point in less than 20 weeks’ training but now it’s about balancing the intake.